Smith & Wesson’s J-Frame revolvers have long been a popular choice for people who concealed carry as well as shooters with smaller hands, due to the J-Frame’s small size. 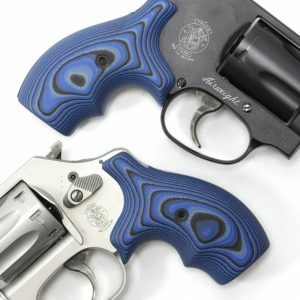 If you carry a J-Frame revolver but you want to customize it to feel better in your hands or to look better, check out our selection of revolver grips made just for these spectacular revolvers. Speed Beez stocks the best selection of revolver accessories online. As your go-to source for the most reliable Smith & Wesson speed loaders, we are proud to offer you an unparalleled selection at the greatest prices you’re likely to find. Shop with us today!